My friends over at Ettes & Company shared this darling idea using the new DUDE Collection. 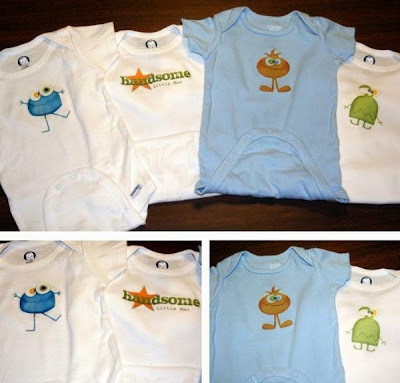 Their creative team member, Mary Ruth printed out the fun monsters onto to t-shirt transfer paper and ironed on the designs onto onsies. Read more by visiting Ettes & Company Gallery.